Demystifying Life: how to live it, love it and have it. The Big 7 in your life – Part 5. Your Ego. Ego. We tend to use this short, simple word, without fully understanding its meaning. We often judge our own or others’ behavior, motivation, thoughts and goals by applying such words as: “He or She has a very Big Ego” or “What a blown-up Ego they have”. But what really is the Ego? There have been various definitions of Ego. While psychology sees it as invaluable tool for developing individuality, independence, self-esteem, personal boundaries, presence etc, many religions and philosophies perceive it as an obstacle to spiritual development and enlightenment, since Ego-driven life could distract us from a deeper, soulful vision. It confirms our Identity, reassures Individuality, our uniqueness, and creates for us special boundaries. It makes a distinction between the inner world and the outer world, labels and organizes our perceptions. The Ego analyzes situations as threatening or beneficial, and it bases its conclusions on the possible effects and the resources it uses to operate in the physical world. That’s why it reacts strongly to insults, destruction or damages to the acquired or produced symbolic goods, and challenges to its mental, emotional or physical habits. It is important to remember that Ego doesn’t experience anything directly, that it operates through concepts and symbols, following the guidelines set by what we value or believe in. The Ego is a pattern. It likes repeating such sentences as “That’s the person I am – or - I am this type of a man.” Such continuity gives the Ego a sense of stability and security, reinforced by our memories, self-image or habits. The Ego can easily misuse the Mind to justify, reason and plan its actions through manipulation, deception, forceful action, delusion and false ambitions. To better understand false ambitions, consider this: your ambitions are not your purpose. In order to find your true purpose, you need to separate your Ego from your talents and passions. Never believe that you are smarter or better than others: a better human, a better businessman, artist, a better leader. If you catch yourself having such thoughts, correct them instantly. Do what you're doing for the sake of doing it, not for any gratification. If you let your Ego take control, you’ll start chasing honors and money, or seek satisfaction through romantic escapades. If you try to get rid of your Ego, it might dress up as false spirituality or humility. Whatever lets your Ego feel better or powerful, becomes its tool. You cannot really get rid of your Ego, since it is a part of your own energy, as long as you live in a physical body. Such is the burden of Your Ego. However, there is a healthy and successful way of dealing with one’s Ego. Let it cheer you when you’re doubting, losing confidence in yourself. Let it tell you then: “You can do it! Go for it! You’ve got it in you”. Once you allow your Ego to do its job, it will do it eagerly, without getting in your way. Without distorting your path, your purpose. 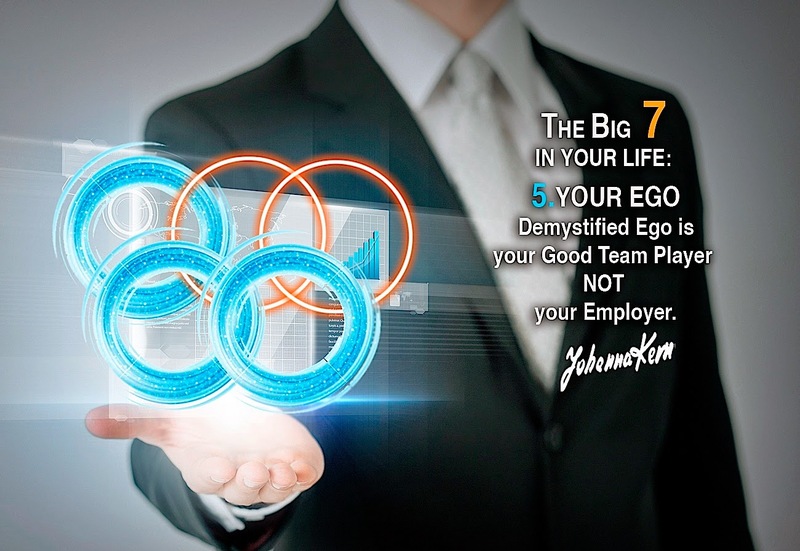 Cheerleader, not the lead player, is your Ego’s assigned and healthy function. Remember the Ego can exist only in the physical world. It has no place, nor function, in the spiritual world. It is trying to keep you in the material world, and attain power. The Illusion of Power gives it relief from the fear of non-existence. That’s why it is so motivated to push forward, to manifest itself as strength. Its drive comes from its fear of death. The Ego - through healthy function when being “employed” as your Cheer Leader - reassured of its value and satisfied, would not seek to control. It will become your good friend, and invaluable helper. Just when you need it most. Such is the Gift of Your Ego. 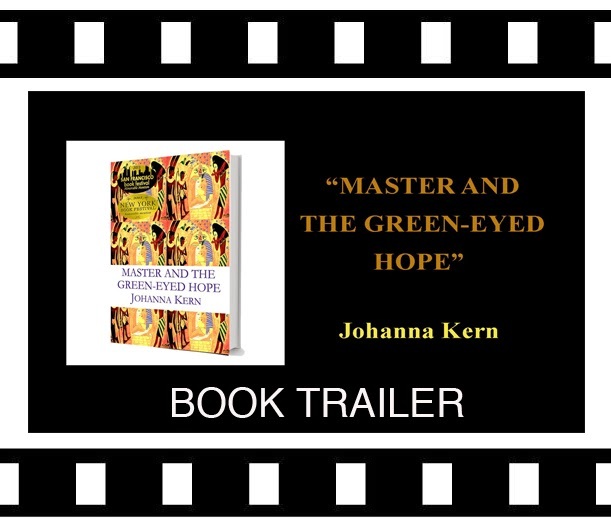 You can find our more about your Ego in “Master and the Green-Eyed Hope” book, in chapters: 4, 10 and 18. Don’t be afraid of your Ego – it is, what it is. A part of you that wants to help. Have another, wonderful day.